Both sides made little concession for each other tactically, both set up to play attacking football and stick to their principles. This made for an open game with plenty of chances, but for all the excellent ability on the ball and build up play, it was the mistakes made by either team that tended to present the better opportunities. 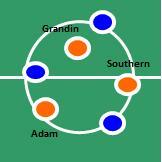 The key point of interest about the way that each team set up was their most advanced midfielder. 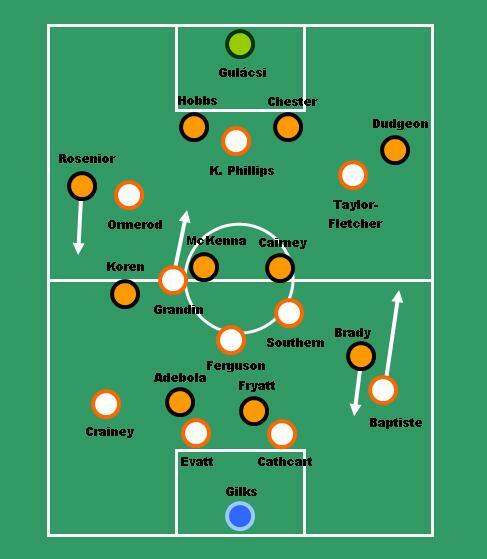 For Blackpool, Elliot Grandin was aggressive in his positioning, receiving the ball higher up the pitch than he was last week and at times this made Blackpool have four forward players in a 4-2-4 shape. 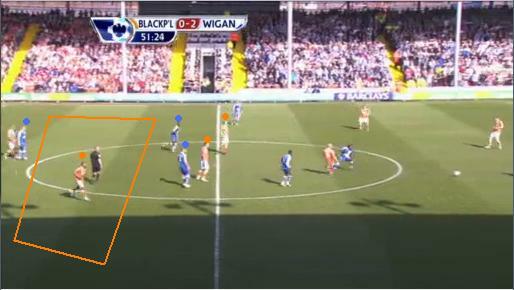 However, he stayed too high up the pitch at times when Blackpool were out of possession. 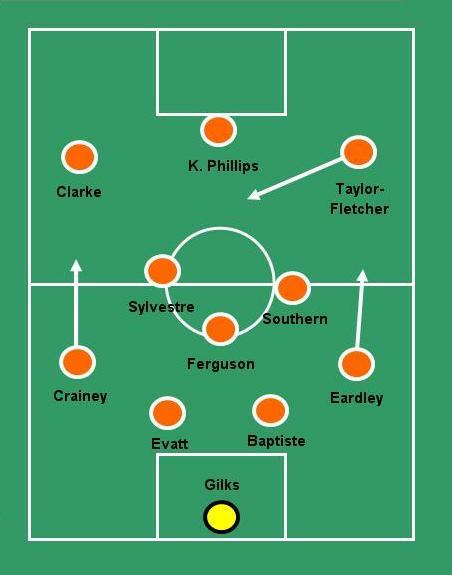 When this happened, Peterborough enjoyed success as they outnumbered Blackpool three to two in the centre. George Boyd on the other hand, played at the tip of the Peterborough midfield diamond, but he wasn’t fixed in that position. At times he dropped deeper then pushed up high which meant that Peterborough’s formation flexed from a flattish 4-4-2 out of possession and to a 4-3-3 in possession. 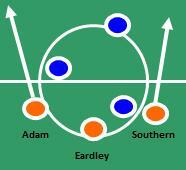 Peterborough attacked at speed with quick one touch passing and swapping positions. 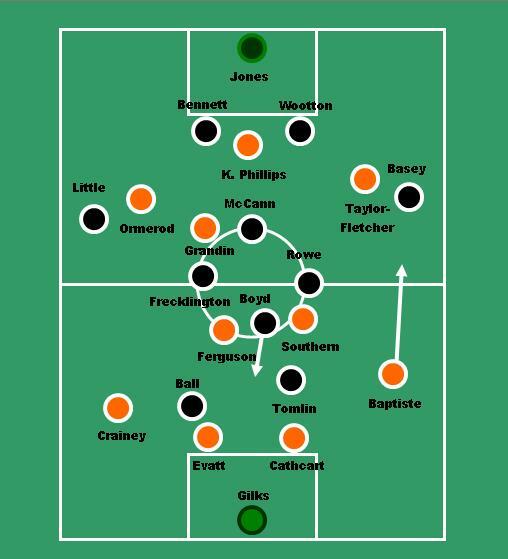 Their positional interchanges seemed to cause Blackpool problems who struggled to track runners coming from unexpected areas of the pitch. 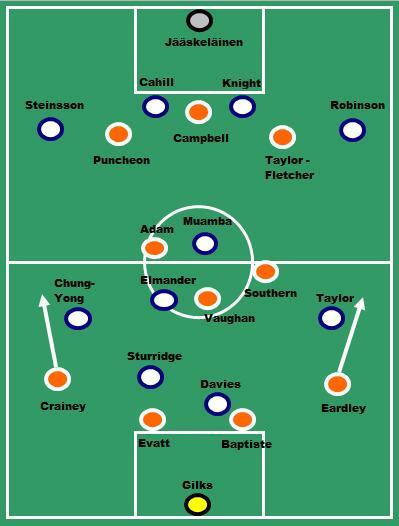 However good this interchanging was from an attacking point, it was also their downfall defensively. When teams have a fluid approach to positional play it is essential that they regain their shape when off the ball. 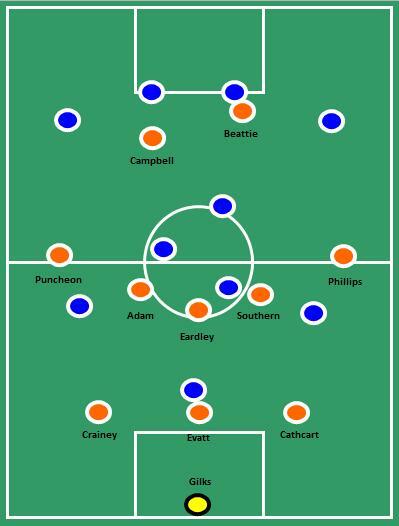 Too often Peterborough made mistakes to give possession to Blackpool and they struggled to get their shape back, becoming exposed at the back. 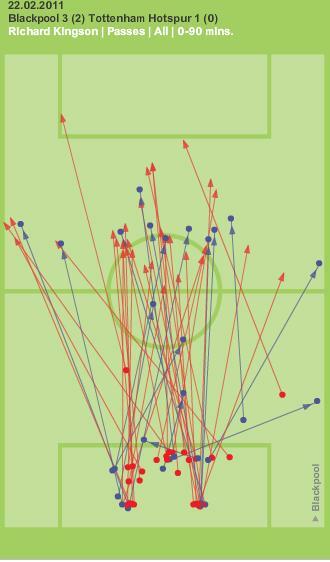 Blackpool seemed happy to keep the ball and managed to move the ball around the back line easily before moving it out to Barry Ferguson who had plenty of options. 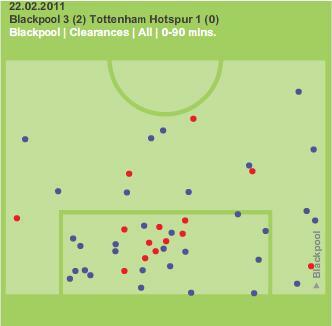 Generally Elliot Grandin would be the receiver from Ferguson and when this happened there was a good flow to Blackpool’s passing. 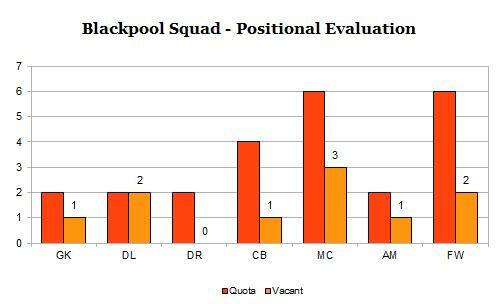 However, as with the Hull game last week, Blackpool really start to break a team down when a defender steps higher up the pitch. 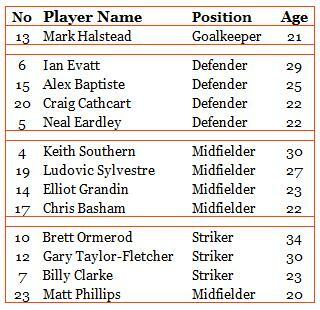 Last week it was Alex Baptiste and this week it was Ian Evatt and Baptiste. Both advanced well in to the final third at times with Baptiste effectively joining the attack, adding great variety to Blackpool’s play and an element of surprise. 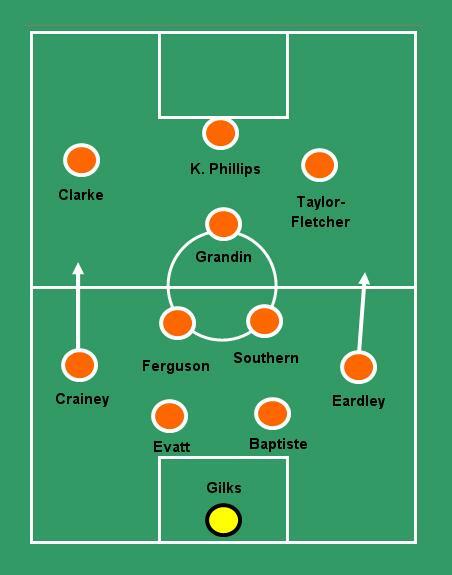 The game seemed to swing towards Peterborough when Elliot Grandin was substituted, so much of Blackpool’s positive play centered on him and his removal seemed to stunt Blackpool as their passing options seemed closed off and possession started to be surrendered too easily. Again Ian Holloway had his defensive line playing high up the pitch and again they looked susceptible to a surprise ball over the top. It was vital in the context of this game that Matt Gilks was alive to the threat and make some great saves in one on ones. 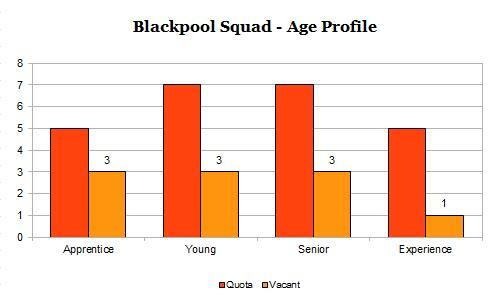 Gilks’ anticipation may well be the key element in this line working better for Blackpool given that their defence will be turned and their centre backs don’t have enough pace to recover. 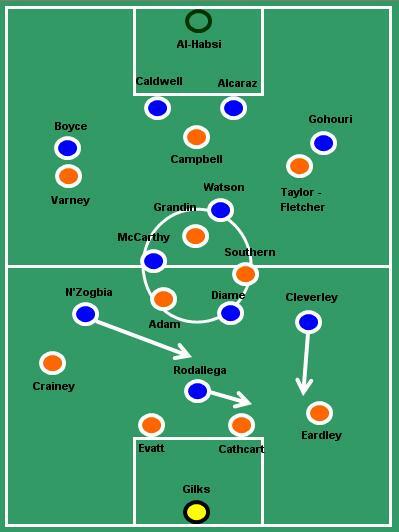 The clearest difference between the two sides defensively was Peterborough’s inability to deal with a cross ball. 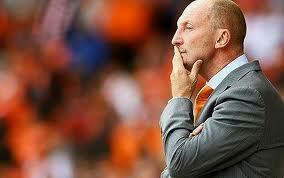 In the first half Blackpool had a series of corners, all poorly defended by Peterborough. Also, Blackpool found some great crossing positions in open play and again Peterborough struggled to deal with them effectively. 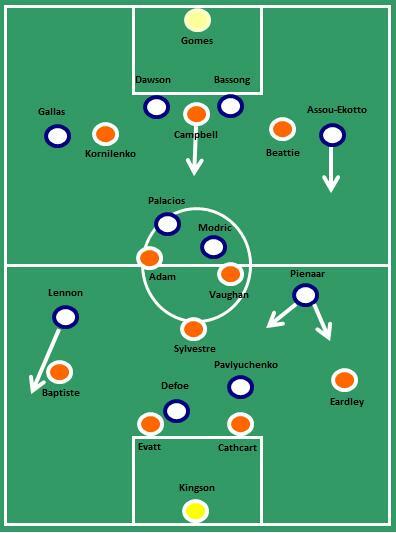 The first Blackpool goal was a perfect example of that with Kevin Phillips not even having to jump to head the ball in at the back post from a deep out-swinging cross. Ian Holloway will be happy with that performance, however, he may reflect on his timing of his substitutions, especially against such an attacking team as Peterborough who will seize on any initiative you give to them. Peterborough on the other hand were excellent moving forward, but their transition from attack to defence leaves them wide open and easy to pick apart. However, even if that is accepted as a weakness it is imperative that they reduce their defensive errors which left them exposed all too often in this match.